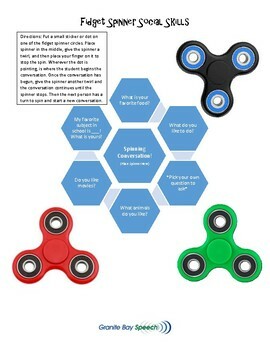 We have all been bombarded with the fidget spinners, so why not try and make them fun!? 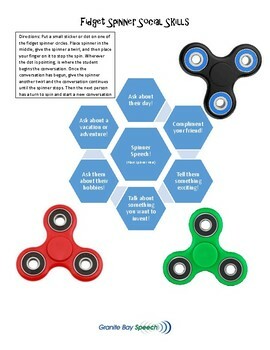 There are 2 worksheets which focus on conversational skills while using the fidget spinners. Worksheets include comments and questions such as, "What animals do you like? What is something you want to invent? My favorite hobby is_____, what is yours?"